Children enjoy having some pizza. 3 How Many Calories in a Taco Bell Bean Burrito? Happy's Pizza is an eat-in restaurant that serves and delivers pizza, pasta, shrimp, subs and salads. In 1994, the company opened its first location in Detroit. Since then, the company has expanded to more than 65 locations throughout Michigan and in various Midwest states, including Ohio, Indiana and Illinois, as of July 2011. Happy's Pizza serves round and square pizzas, ranging in size from 10 inches to more than 14 inches. Customers can pick their toppings or choose from a list of specially made pizzas. Specialty pizzas include Hawaiian, chicken, bacon and ranch. According to My Fitness Pal, a slice of Happy's Pizza with bacon, hamburger, onions and green peppers contains 377 calories. One slice of the pizza also has 20 g of fat, 531 mg of sodium and 33 g of total carbs. Happy's Pizza does not list nutritional information for its food. While some local governments and municipalities have made it mandatory that restaurants post nutritional values, the majority of restaurants do not provide this information. As a result, the Food and Drug Administration proposed new regulations that all restaurants with more than 20 locations include the amount of calories found in meals. For additional information, such as fat, sodium and cholesterol amounts, restaurants must be able to provide this information in writing upon request. This regulation will go into effect once the FDA completes the rule-making process, or by the end of 2011. Restaurants will then have six months to comply. Many health organizations, such as the American Heart Association, provide guidelines on how to decipher a menu and what to eat when dining out. Stay away from foods that come fried, crispy, creamy, sauteed or stuffed. These food items tend to pack calories, fat and sodium. Look for food items that are labeled as steamed, grilled or roasted. If you're not sure how a meal is prepared, ask your server, the manager of the restaurant or one of the cooks. 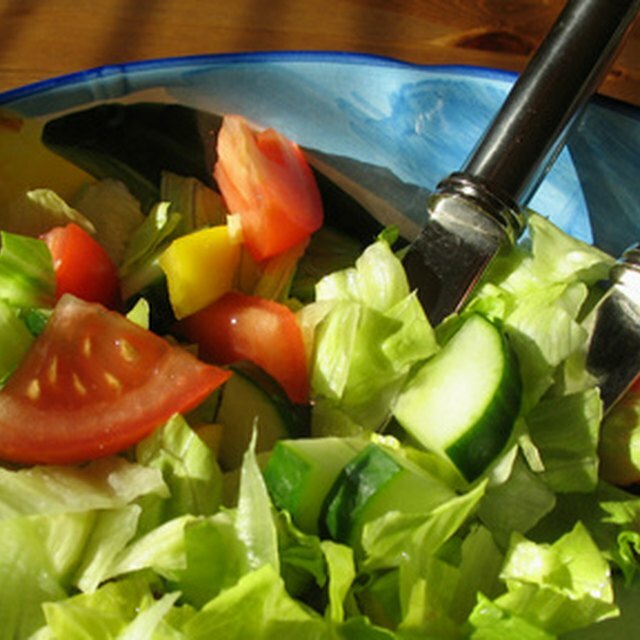 If you're in the mood for something greasy but want to avoid unhealthy foods, try cuisine substitutions. If you're craving a fried chicken sandwich, for example, try a blackened chicken breast pita bread sandwich with lettuce and tomato. Make your own vegetarian pizza or choose a baked potato over french fries.